DPS says three vehicles and a semi were involved. 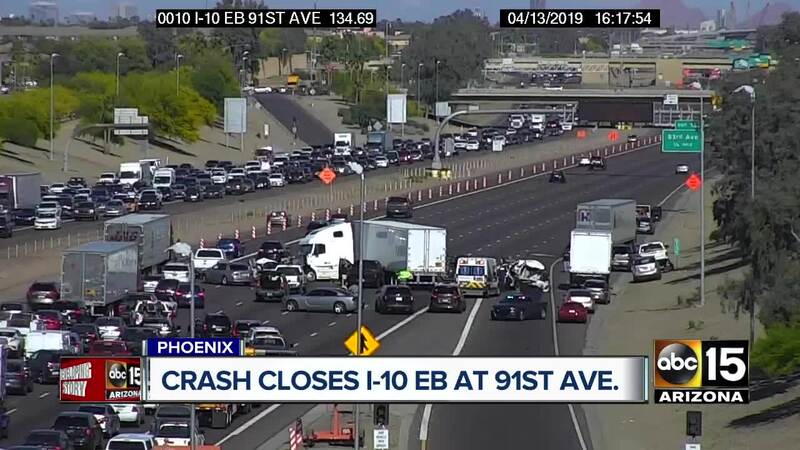 TOLLESON, AZ — Several people are injured following a multi-vehicle crash on Interstate 10 in the West Valley on Saturday afternoon. According to DPS, the crash happened in the eastbound lanes between three cars and a semi-truck just past 91st Avenue. Crews pulled two people from one vehicle, and rescued a third person who was reportedly trapped. There was no information immediately available regarding the severity of injuries or condition of the people involved. Eastbound lanes of traffic were closed for several hours while troopers investigated.